Content creation is the life-blood of any content marketing campaign. The problem? Content creation can be difficult. If you don’t use the right strategies, you can waste time and money. There’s no shortage of companies who’ve tried to do content marketing themselves or hired someone to do it that didn’t get great results. The question is – how can you make content marketing and SEO work for your business? How do you know what content to create? How can you invest in content creation and ensure you get a return on investment (ROI) — even though this is harder to track than metrics like cost per click? If you’re opting to work with an agency, how can you be sure they’ll deliver? This guide is meant to be the end-all-be-all when it comes to creating content for your business. Before we go deep into strategy, you have to get this next part right. In fact, the next section alone will make or break your success. People don’t talk about this often. It’s easy enough to read blogs about content marketing. Doing it and doing it well is a different story. The funny thing? Content marketing isn’t hard, per se. It’s time-consuming, requires consistency, and only works after you spend a lot of time, effort, and money creating content. Even if you don’t write the content yourself and hire an agency do to it, realize that not all agencies are created equal. In fact, the sad truth is that many of them will write “me too” content that doesn’t move the needle. Agencies can be just as guilty at failing to live by the rules of successful content creators. Write content that’s 10x better than your competition. This technique is known as the Skyscraper Technique. Again, this is about the mindset behind SEO. You can think all you want about using a strategy like the Skyscraper Technique, but actually doing it is about 100x harder than reading a blog post about it. You’ll write content constantly without getting the results you expected. You’ll invest money that doesn’t pay off in rankings and traffic right away. At a certain point, you’ll wonder if content marketing is right for your business. Spoiler alert: it is, but you need the right mindset to make it work. Plan, plan, plan – From keyword research to creating a content strategy, to adding time-blocks on your calendar to work on content, the more you prepare, the easier content creation will be. Wait – If you decided to commit to content marketing for a year, wait a year before you judge the success of the campaign. Sure, make adjustments along the way, but commit to seeing the strategy out first before you throw in the towel. Why – Remember why you started creating content (or hired someone) in the first place. You wanted to grow your business, build your brand, and connect with more people. Focusing on your “why” can help you persist when times get tough. He consistently puts out HUGE, in‐depth guides. Some are even custom designed. I’ve seen at least one of his posts garner 750+ comments. The downside? Putting together such massive guides clearly isn’t the easiest job ever, as Nathan only publishes one post per month on average. Regardless, Nathan is undoubtedly one to watch. On the flipside, blogs like Search Engine Journal produce multiple blog posts per day. Both strategies work. Not only that, but quality and quantity don’t have to be mutually exclusive. A few dozen posts per year provide excellent quantity if all the posts make up for it in quality. Also, you can create great-but-not-insanely-long guides at a faster pace and rank well, too. There are no one-size fits all solutions. Thought leadership is a hot topic. If you’re a thought leader, it means you’re one of the “go-to experts” in your space. Content creation is a great way to establish yourself as a thought leader, but not if you focus on becoming one. Right now, you should focus on creating the best content you possibly can. You should promote your content and connect with people in your niche. Do this for a long enough time, and you’ll earn the right to be called a thought leader. It will be self-evident. Content marketing has created an awesome path for anyone to demonstrate their expertise. Sadly, the majority of content creators focus on the prize instead of just doing the work. Just do the work. Do it often. The traffic, sales, and admiration will come later. Don’t worry about those for now. Now, stick with us to learn about the nuts and bolts of a solid content creation strategy. Keywords are the life-blood of a content creation campaign. Have you ever typed something into Google looking for an answer, a location, a service, etc? Those phrases you type in are keywords. When you do keyword research, you’re looking to find the right phrases to use in the content you create. So what qualifies as a good keyword? The keywords you target your content around should match a goal you have for your business. You want to make sure that someone who types in that keyword will be happy to find your site and you’ll be happy they landed there. We’ll use an example from our industry. We could create content around the keyword “SEO” but it’s a broad and vague keyword. Someone searching for the keyword SEO might be a curious browser, not someone who’s serious about working with an SEO agency. Something like “content marketing services” matches our goals better. A person searching for that is at least interested in learning about a service we provide. Different niches have different levels of competition. Marketing is, to say the least, a very competitive space. We’re competing with all the marketing blogs in the world. If you’re a local plumber in, say, Wichita Kansas, your strategy will be different because your competition will be different. We will talk about the steps to keyword research shortly, but let’s look at some of the ways you can size up the competition as part of your content creation efforts. Google doesn’t outright tell us who’s site is the most authoritative. There are third-party tools that give you a pretty good idea though. 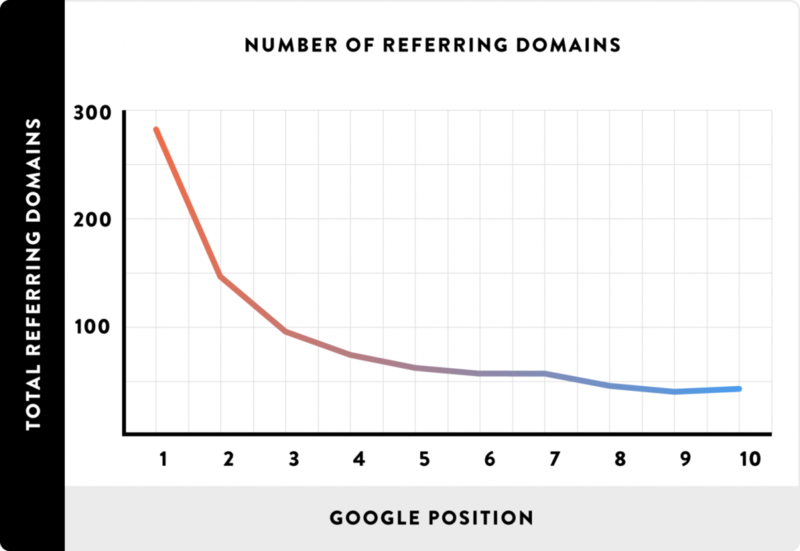 Domain Rating is a proprietary Ahrefs’ metric that shows the strength of a target website’s total backlink profile (in terms of its size and quality). 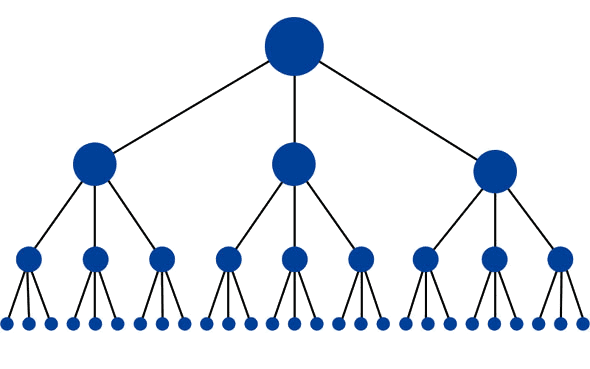 Linking root domains – This just means the total number of websites that link to you. 3 links from three different websites are better than 3 links from the same website. Make sense? Ok good. Each page on your website has its own unique URL rating (UR). Here’s how to think about this. Website pages show up on Google, not entire websites. Google wants the best pages to show up on the SERP for a query (what people type into the search bar). In this case, it’s providing results for people who search for things like “Minneapolis SEO” “Minneapolis SEO company” “Minneapolis SEO agency” etc. So instead of looking for which websites have the best information about these topics, Google chooses individual pages to show up on the results page. This authority is measured by UR. When you’re doing keyword research, you want to think about the authority of the pages who rank for the keywords you’re trying to target. High authority sites/pages – If you publish and promote great content over a long period of time, you can start to rank for highly competitive keywords. High competitive keywords usually get more total traffic volume, which means the number of people who search for that keyword in a month. You will need to write the best quality content possible to rank for these terms (high = 50+). Site authority is just one of many metrics you can use to gauge your chances of ranking a page on Google. Just because your site pages have lower authority than others doesn’t mean you can’t rank them. You just have to go the extra mile to beat out the others. Make up your own damn keywords – If you have a unique strategy or insight that helps people in your niche, create content about it and make up a name for your strategy. It’s a nice hack you can use to get on page 1 fast. Some people go as far as to give their companies a unique name. As their brand gets recognized, they create a total keyword volume out of thin air! Remember earlier when we said to be creative? This is an example of what we meant. On top of doing keyword research, you can perform market research to make your content even better. Part of this research involves studying your competition. The other part involves studying your potential customers and people in your target audience. We wanted to rank this post for keywords like “quality content” and “SEO” content. When studying the SERP and the blog posts we found, we noticed a few things in common between the posts and saw ways to create something better. If you wanted to create content using these tips, you’d have a general idea, but not a step by step process or useful resources. We also noticed the posts talked (mostly) about ways to impress Google. Yes, you have to optimize your content for search engines, but your number one goal is creating content your visitors find useful. In a later section, you’ll see our step by step process for creating user-focused content. A final, and really important item, we saw missing was a lack of focus on the content creators themselves. 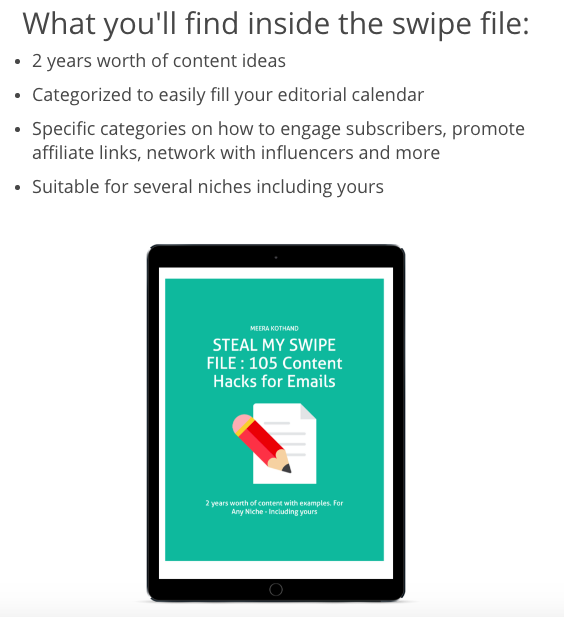 Nowhere did we find tips on the mindset and tools you need to be a successful content creator. Or, for business owners looking for content creation help, we didn’t see any tips on finding the right type of agency or content marketer to work with. We included sections on both in our guide. Studying the SERPs is just one of a few important tasks for content creation. If your business doesn’t have a product, service, or content related to something on Amazon, you have a very obscure niche. Amazon reviews offer great insights you can use to create content. Even though we’re writing a single post, we can use insights from book reviews to help make our post more useful. We looked for 3-star reviews, which usually have a good mix of praise and criticism. We found some interesting insights. This led to us creating a section with examples and scenarios for normal small and medium-sized business owners. We added a table of contents, FAQ section, and worked to make our in-depth guide as simple to read as possible. In our tips section, you’ll see sections for different skill levels. Quora is a question and answer platform. Users ask questions about a wide range of subjects. You can plug keywords into Quora to see what questions people are aking in your niche. You can use these insights to create content that answers people’s questions, which can help your posts rank better on Google (remember Google likes user-focused content). 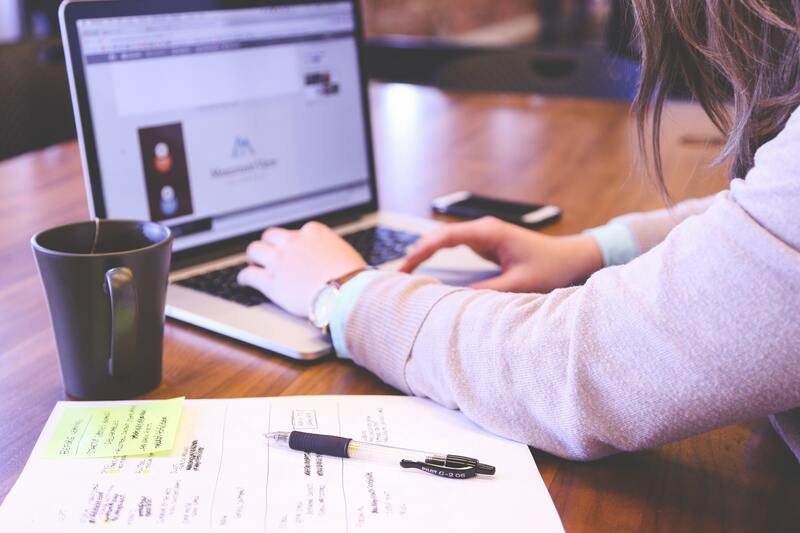 With the keywords and insights in hand, you can start to plan for the different types of content you can create for your business’s website. Different types of content require different strategies to be successful. If you’re a content marketer (or you’ve hired an SEO agency to help you out), it’s important to know what goal each type of content serves. If you want to get technical about it, there are lots and lots of different categories content can fit into. You’re reading a blog post right now. Why? Probably because you’re looking for information to help you create your own content or insights you can use to get somebody to do it for you. Either way, you’re here because you need or want information. If you don’t think this post is going to deliver what you want, you’ll leave. If you think the post does deliver want, you’ll read through the whole post, maybe sign up to get even more marketing tips, or reach out to us directly because you want our help. We write blog posts to educate people about content marketing and SEO. We want our content to be so in-depth and useful that you can implement the strategies on your own. Why? Because we’re building our brand as content experts. Getting every single person who reads our posts to buy our services would be nice, but that’s not our goal. Done strategically, creating a company blog can help your business stand out as an industry leader. Intent – Search intent means people who visit your blog post get what they’re expecting. Study the posts that rank well for your target keyword to get insights on intent. Optimized – Each blog post you write must be optimized for a certain topic or keyword to rank on Google. Media – Pictures, videos, infographics, and other forms of media keep readers on the page longer. “Dwell time” is a ranking factor search engines use. With these benchmarks in mind, focus on the content marketing done in your industry. Blog styles and formats vary from industry to industry. A simple recipe that works for any industry, though: study the blog posts your competitors create and make your content undeniably better. Services and product pages have a simple goal: get people to buy or request more information. Your service and product pages should be more focused and, for lack of a better word, aggressive than your blog posts. You have to provide reasons why your product or service is better than the others and communicate it well. He does a couple things well here. The call to action at the top of the page is simple, straightforward, and compelling at the same time. Who doesn’t want more traffic? On top of that, he displays logos of the companies he’s worked with. Why? Two persuasion techniques are used here: social proof and the power of association. Social proof is basically evidence of why something is good, e.g., positive book reviews. Us humans like to know other people trust a brand or product before we purchase it. Then there’s the association bias. Whenever you can, it’s smart to associate yourself with other trusted brands. Who doesn’t know Facebook, Google, and eBay? Neil leverages his partnerships with these companies and it’s persuasive because they’re so well known. All the content on your product and services pages should answer that question. Put yourself in the customer’s shoes for a second. Say they visit one of your services pages and the first paragraph they see is something boring about how your company “was founded in 1965 in a one-room shack” or whatever. Does that information really drive decision-making? Perhaps, but more often than not business owners use their service and product pages the wrong way – to talk about themselves and talk about the features of their services instead of the benefits. Nobody cares about the fact your riding mower has x, y, and z capabilities. They care that your lawn mower mows lawns faster! Focus on the benefits your product or service provides. They list all the features of the product on the bottom of the page. Much more time is spent on highlighting the benefits of the product and the transformation it will provide people who buy it. This is how smart marketing works. Media – See how the video was used in the example above? Adding media to your product/service pages can make them more persuasive and keep people on your pages longer. Optimization – You’ll need to do keyword research and optimize your product/service pages, too. You can use modifiers to get more clicks like “Buy” “Discount” “20% off” “Free Trial” etc. You won’t see menus on these pages. You won’t see any links pointing you somewhere else. Landing pages are often used to get e-mail subscribers. Let’s say you’re running Facebook Ads to get more customers. The last thing you want is to spend money, have them click on your ad, and then leave without subscribing. 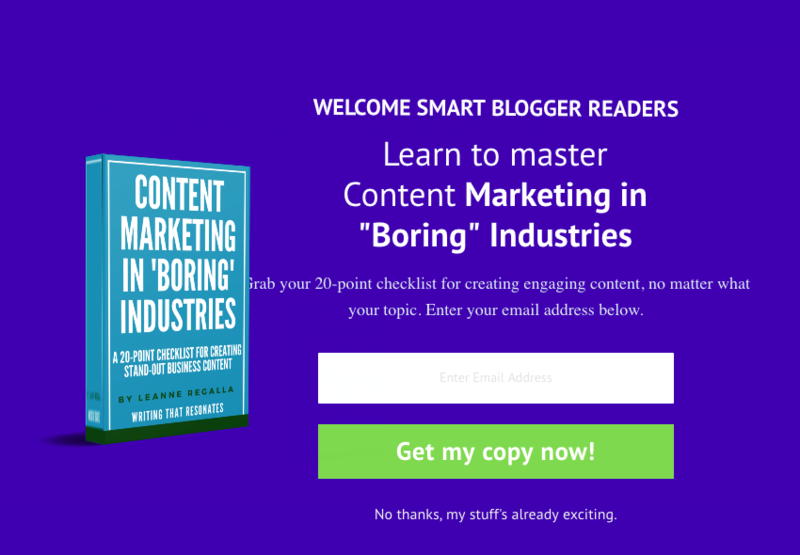 This is a landing page Leanne Regalla used to get more subscribers from her guest post. The page itself displays benefits and has a dead-obvious call to action. You only have a split-second to get someone’s attention when they visit your landing page. If your offer doesn’t compel them fast, they will leave. You have to make an offer so good they can’t refuse it. Content means more than the written word. Other forms of content exist and are useful. We focused on written content creation for this post because it’s a core type of content you must master. Once your content marketing campaign is in full swing, you can try other formats to pour gasoline on the fire. Video can be an excellent content marketing tool. Some people prefer visual content to written because…they don’t like to read all that much! No worries, video is a great way to repurpose your content. Each blog post you publish can be transformed into a video. Each video can be broken up into smaller pieces and shared on platforms like Instagram. You can take one video and feature it across multiple platforms like Youtube, Facebook, and LinkedIn. One blog post can be turned into several content pieces you can use on social media. Content creation can help you grow your business, but only with the right strategies, tools, insights, and effort. Leave your most “important keys” to content creation, promotion, and marketing below. Awesome we’ll written, in-depth read. Lots of great references in there and the article flows well.